Say hello to restored pearly whites with the iWhite Instant Teeth Whitening Toothpaste. 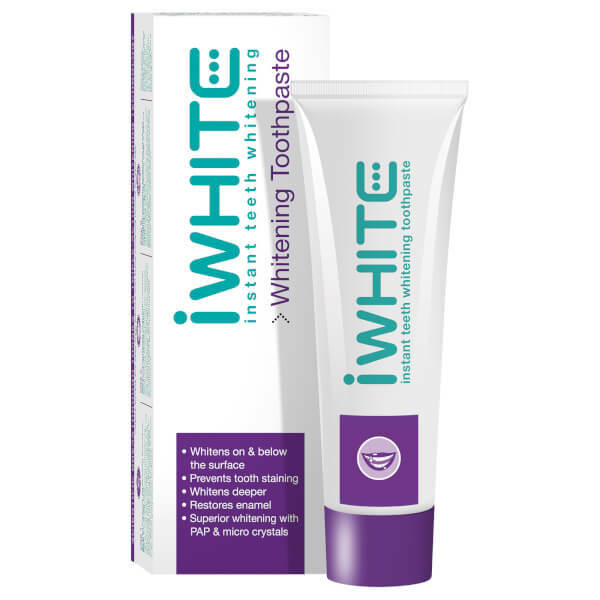 Boasting an innovative, unique formula, this toothpaste contains fluoride and an effective whitening complex to fight against plaque and tartar whilst strengthening the teeth. 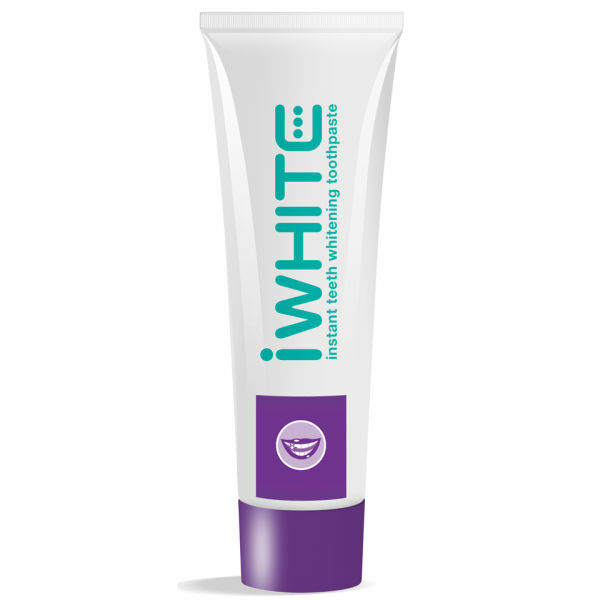 Enamel will be restored, giving your teeth a noticeably whiter colour. K.D. Sorbitol, Aqua, Hydrated Silica, Cyclodextrin, Disodium Pyrophosphate, Tetrapotassium Pyrophosphate, Sodium Lauryl Sulfate, Citric Acid, Aroma ,Cellulose Gum, Sodium Fluoride, Phthalimidoperoxycaproic Acid, Sodium Saccharin, Limonene, CI 77891.